The last time we discovered that the national flag carrier, the Pakistan International Airlines (PIA), was a burden to the economy, early 2016, two men died in the protests surrounding the proposed panacea of privatisation. The process got stalled, at least for six months. Six months turned into a year, a year is running towards the second, but as of now, PIA is officially a burden once again. At its November 2, 2017 meeting, the Privatisation Commission decided to “reinitiate” the process of privatising the PIA — a commitment made by the Pakistan Muslim League-Nawaz (PML-N) government with the International Monetary Fund (IMF) when it secured a 6.2 billion dollar bailout. 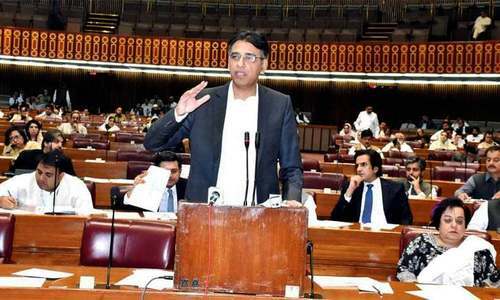 A mammoth organisation buried under 300 billion rupees of debt, PIA had been spared privatisation in 2016 after it was converted into a public limited company (PIACL) by a joint session of parliament. This was despite the fact that the airlines has one of the highest employees per plane ratio — there are currently 29 aircrafts operating for PIA including three on wet lease. Over 13,700 permanent employees and 3,700 daily wagers employed through third-party vendors are engaged in various services relating to daily operations. The law converting PIA into a public limited company was called the PIAC Conversion Act, 2016, and included a bar on the federal government trying to transfer ownership of the entity. What could be sold was the management of the airline; ownership would always stay with the government as they would retain a majority share with 51 percent. The Privatisation Commission is now seeking a reversal of this rule because it would pave the way for the government to sell ownership, and not just management, of the airline. Without a doubt, PIA is jetting towards doom. Which begs the question: has there been such little turnaround in the fortunes of the national flag carrier that it remains a priority to sell? And who is responsible? No doubt the resumption of the privatisation process will spark labour protests once again — a sub-plot centres round the PIA unions’ support (or lack of it) to the PML-N. Talk of privatisation is seen by labour leaders as an attempt to rein them in. But in truth, PIA’s troubles go far beyond the everyday operational issues or ordinary workers’ resentment at being taken for a ride. The big issues lie elsewhere. Let’s suppose Ilahi is exceeding his boundaries as chairman of the PIACL boards of directors, the question really is who can possibly stop him? The board, perhaps. And if they fail, the Aviation Secretary of the Cabinet Division Secretariat. Here’s the twist: how can someone summon themselves — Ilahi is also the aviation secretary. The man in the PIA cockpit is Irfan Elahi, the chairman of the organisation. His tenure is marked by a number of murky deals and practices that have either seen the bypassing of PIA bylaws or decisions made to the outright detriment to the organisation. Some of Elahi’s choices have had larger consequences to the organisation, to the extent that the last PIACL board of directors meeting boiled over after a director questioned him about some deals struck. Let’s suppose Elahi is exceeding his boundaries as chairman of the PIACL boards of directors, the question really is who can possibly stop him? The board, perhaps. And if they fail, the Aviation Secretary of the Cabinet Division Secretariat. Here’s the twist: how can someone summon themselves — Elahi is also the aviation secretary. The conflict of interest is perhaps not his fault. But when life gives lemons, make lemonade. Although bureaucratic nonchalance comes with the territory, hiring and posting irregularities — an almost universally accepted baseline for nepotism — is the least of the allegations against Elahi. The big charges relate to the concentration of power, the operational opacity this omnipotence allows, as well as the siphoning of taxpayer money to companies abroad without receiving any services in return. The allegations against Elahi also relate to certain power wielders (and their relatives) benefitting on account of the national flag carrier. They have to do with a plane that went missing in Pakistan, only to pop up in Germany. 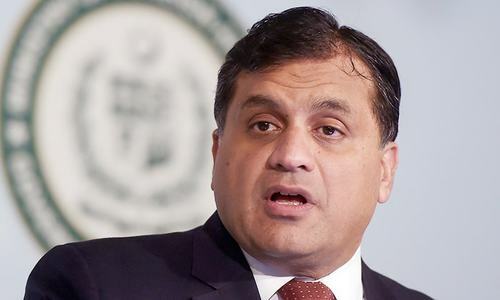 They also relate to the acting chief executive officer, a German, who has a criminal case against him in Pakistani courts but cannot return to the country to testify — allegedly at Elahi’s behest. 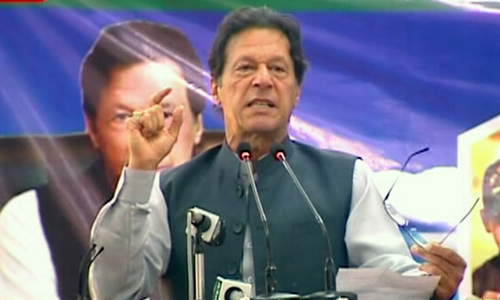 The following four stories have largely been extracted from official PIA paperwork and correspondence that were exchanged, copies of which are available with Eos. 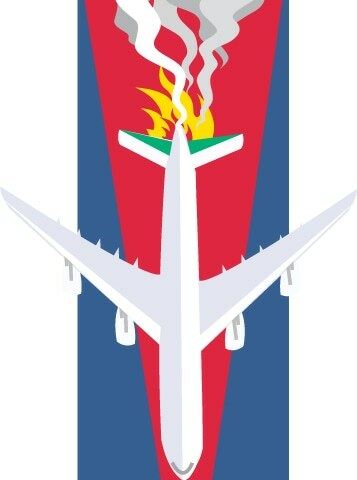 Each story points to instances of how damage was dealt to the interests of the national flag carrier. The common link is Irfan Elahi, the man in whom trust was reposed to steer PIA away from turbulence. On December 21, 2016, Prime Minister (PM) Nawaz Sharif announced a major reshuffle of the bureaucracy. Pakistan International Airlines (PIA) was without a chairman at the time, as the old one, Azam Saigol, had resigned after an aircraft, PK-661, travelling from Chitral to Islamabad crashed near Havelian. The incident claimed the lives of 47 passengers and crew members. PM Sharif handed PIA to Aviation Secretary Irfan Elahi, marking the latter’s second tenure as chairman of the national flag carrier. The outgoing chairman had brought in a former professional of German airlines Lufthansa, Bernd Hildenbrand, first as a chief operating officer (COO) before elevating him to the position of acting chief executive officer (CEO). Both Saigol and Hildenbrand had seen an upturn in PIA fortunes — a product of making infrastructural upgrades and changing its branding. New planes were being leased, flights had achieved “90 percent” punctuality, and PIA passengers had increased by one million. But of course Hildenbrand was not Elahi’s choice. In fact Hildenbrand was interviewed and hired by former aviation advisor to the PM, Shujaat Azeem. Since the German was over 60 years of age, approval was sought from the PM to relax rules. Similarly, the requirement of a business degree was relaxed as Hildenbrand’s aviation diploma from Lufthansa was accepted as a valid certification. However, the German later became embroiled in a number of corruption cases — the most prominent of which is the sale of an A-310 aircraft which is currently abandoned at the cargo port in Leipzig, Germany. In February this year, Hildenbrand was removed from his CEO post and demoted to COO once again. In April this year, he was removed from PIA altogether. Hildenbrand left the country on May 4, 2017 after his name was put on the ECL and mysteriously removed following the German Embassy’s intervention. Interestingly, nothing written in black and white was given to Hildenbrand as an explanation or show-cause notice. The charge-sheet issued to him does not have the chairman’s signatures but that of then human resources director. The incoming chairman, Elahi, now had to hire a new CEO and a new COO. A new chairman coming into an organisation floored by debt ought to have brought in competent professionals to help drag the airlines out of the doldrums. 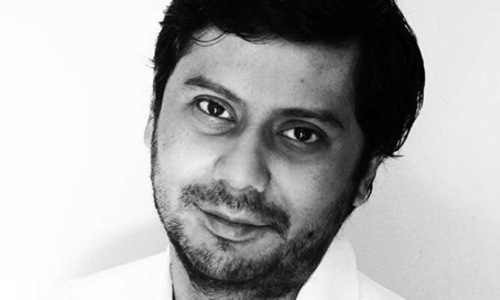 Not Elahi — he handpicked the CEO and COO, both of whom did not come from aviation backgrounds. Indeed among the eight candidates (out of 11) who met the criteria set for the CEO’s post were former managing directors of the PIA, Ijaz Haroon and Junaid Younus. And yet, Musharraf Rasool Cyan became the CEO while the COO chosen was Zia Qadir Qureshi. A university teacher by profession and without any aviation experience, Cyan submitted documents with two different dates of birth: the date on his Matriculation certificate is March 12, 1967. 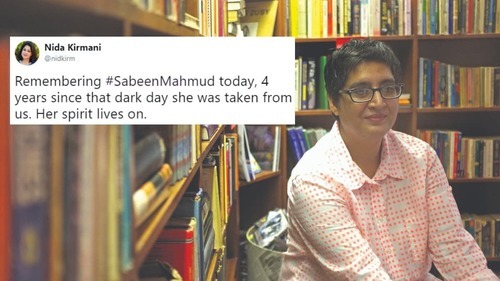 The date of birth according to his CNIC is November 4, 1967. According to chapter 34 of the PIA Personnel Policies Manual, only a matriculation certificate or a valid birth certificate could be accepted at the time of hiring. Cyan then had to submit an affidavit declaring that the date of birth on the CNIC is correct. Here’s the twist: more than 350 employees have already been dismissed on charges of discrepancies in their dates of birth as detailed on CNICs and educational documents. About 250 cases on the same issue are also pending with the PIA administration. In the case of Qureshi, he assumed responsibilities in PIA on July 14, 2017 on a two-year contract. The problem was he would turn 60 on October 30, 2017 — three months after being hired. The rules dictate that the PM issue a formal approval for employment if an employee has to work beyond the age of 60 years. But approval didn’t come easily; PIA had to write twice to the Aviation Division to have it approved from the PM. Terming it a non-issue, Tajwar “believes” this matter has been resolved and approval has been granted. 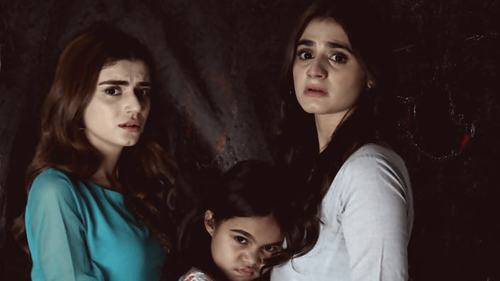 But both hirings set the tone of Elahi’s PIA. Hirings and firings came on ad-hoc basis, often without any justifications. 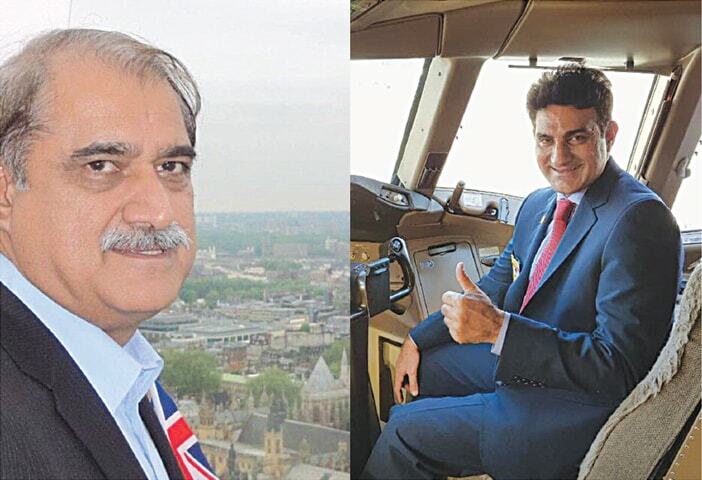 In Passenger Sales, for example, General Manager Nausherwan Adil and Deputy General Manager Zubair Memon were removed from their positions without any accusation. Similarly Chief Human Resources Officer Raheel Ahmed as well as general managers Zafar Ali, Akbar Shah and Mehdi Chingezi were all removed from their positions without any charges formally being brought against them. Well-placed sources claim that those removed from service did not see eye-to-eye with the chairman on many affairs, including double promotions awarded from PG-VIII to PG-X on a single day. 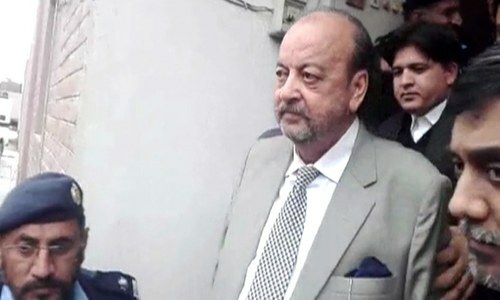 In fact the former human resources director, Raheel Ahmed, is said to have been removed after the chairman found out that Cyan and Qureshi’s credentials had been leaked to the media. The chairman assumed Ahmed as the source of the leaks and removed him from service. Meanwhile, on the PIA WhatsApp group ­— which is a means of communication between senior officers — there are rumblings of dissent and dismay at how the national carrier is being run. Some senior personnel have announced that they intend to leave the airline rather than being made scapegoats for the questionable decisions being taken by senior bureaucrats, who they feel will escape accountability. 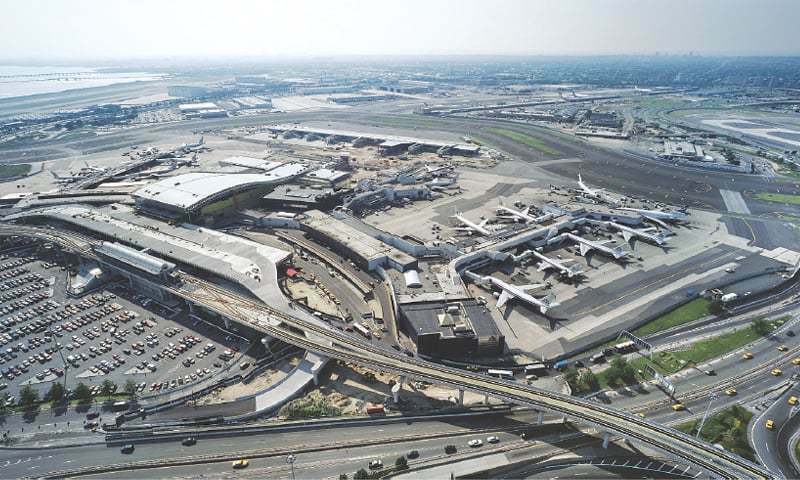 If the PIA surrenders its place at the John F. Kennedy Airport, it has no chance of resuming operations to New York. A new beginning comes to a crash for those associated with the PIA Premier Service. The hallmark of Bernd Hildenbrand’s tenure as the chief executive officer of the Pakistan International Airlines (PIA) was to induct new planes into the national flag carrier’s fleet as he went about modernising infrastructure in the airlines. One of the services started by Hildenbrand was the Premier Service — a deluxe way to travel to London with three aircrafts acquired on a wet-lease from Sri Lankan Airlines. Six flights were scheduled for London every week, three each from Islamabad and Lahore. Unlike the regular service, the Premier aircraft was equipped with LCD screens and an expensive in-flight entertainment system with 250 channels. Business-class passengers could sleep on flat beds to make their journey more comfortable. 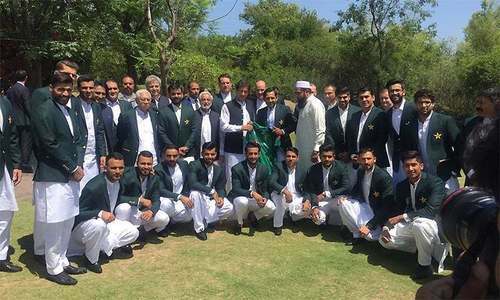 The service was inaugurated by former Prime Minister Nawaz Sharif on August 14, 2016. Although 3.9 billion rupees were spent on launching the service, even its experimental stage was not well thought-out. For example, the airfare for the premium service was not increased while there was just one aircraft doing the rounds and no other backup aircraft was readied. Instead a substantial cost was incurred on specialised crew, new crew uniforms, as well as new logo and branding. The Premier Service bagged 1.8 billion rupees in revenue between August 14, 2016 and December 31, 2016, according to statistics revealed by the Aviation Division at the time. The losses incurred in the same period were 2.1 billion rupees. But perhaps the bigger scam was elsewhere. The new service offered a complimentary limousine for business-class passengers, anywhere within a radius of 25 km from the London Heathrow. The usual cost for such a distance is 45 pounds but PIA were paying 95 pounds for each business class passenger. There were 25 business class seats in the PIA Premier aircraft. And so the amount paid to the limousine vendor for one trip to London was 2,375 pounds. 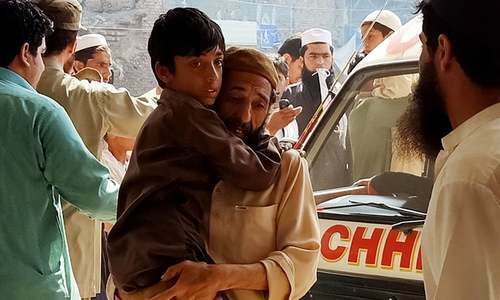 With six flights in a week, the weekly payment to the vendor was 9,500 pounds and the monthly amounts to 38,000 pounds or 5,282,000 rupees. Here’s the twist: the limousine vendor was the third brother of former ISI chief Rizwan Akhtar and PIA Procurement Director Imran Akhtar. Another case of dubious intent is that of a Boeing 777 aircraft which was acquired to fly on international routes. When inducted into the fleet, the 777 plane’s original seats needed to be removed and new ones installed, as per PIA’s seats requirements. Elahi’s PIA engaged with a foreign company for the job, deeming it undoable in Pakistan. 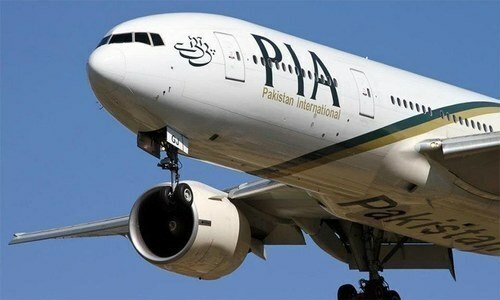 This raised many eyebrows but according to PIA spokesman Mashood Tajwar, the dispute is over the number of planes being re-hauled by the company. 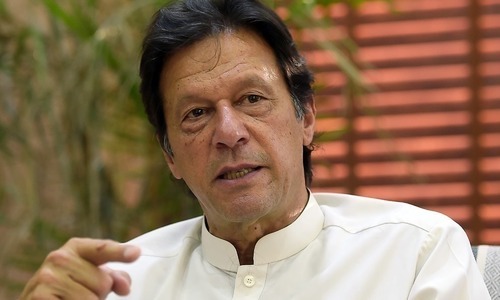 Well-placed sources claim that payment of a couple of billion rupees was made in advance — against the rules and without a bank guarantee — for the job that was yet to be carried out. The job never got done, claim insiders, also alleging that a substantial amount returned to Pakistan in kickbacks. It is not of PIA's free-fall, it is because of Pakistan's free-fall. Great job PIA. The collapse of PIA parallels the collapse of the institutions of the state. Corruption, greed, incompetence, arrogance and ignorance typify both the PIA and the PMN-N government. We have had enough and demand transparency, accountability, merit and honesty. We should not only rid ourselves of these parasites but ensure that justice is served! PIA was one of the top airline in the world which helped launch several airlines. 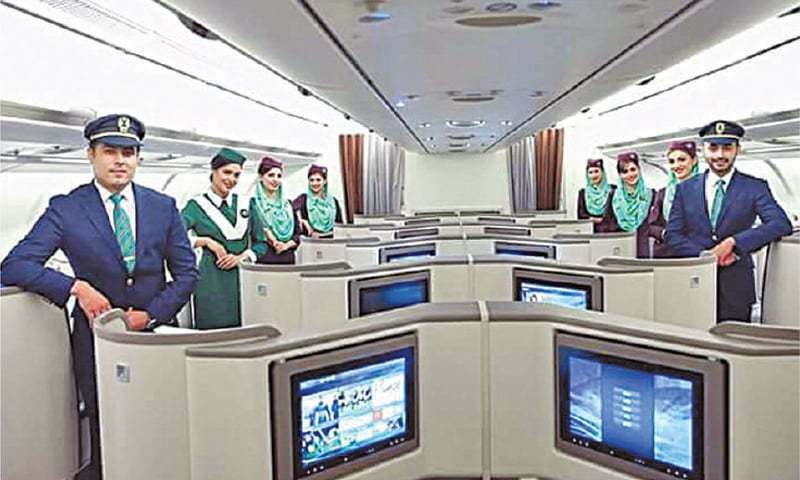 PIA created Emirates by leasing its A300s with pilots, cabin crew and management staff. Emirates first historic flight was EK600 from Dubai to Karachi. PIA's downfall started when PPP and PML-N government started meddling in airline matters. These governments gave jobs to thousands of party "jiyalas" which turned PIA into the most overstaffed airline in the world. Instead of professional airline unions, two PIA unions had direct links to PPP and PML-N, their only job was to give jobs to political party workers. If political interference ends, PIA can return to its past glory of "Great People To Fly With". A lot of people need to go to jail, first and foremost the aviation secretary. The airline is not in free fall, in business terms its called re-structuring non core areas of the business, for example getting rid of loss making routes and concentrating your resources on the profit making routes in order to revive the airline. Pakistan international airlines down fall responsible are zardari and nawaz sharif political involvement since late 80' s beginning of the end. get well PIA or RIP it's now or never. I hope with this insightful piece about PIA, my people understand the phenomenon of "conflict of interest". Bunch of amateurs. How can people with such inhibitions and incompetancy be allowed to be employed ANYWHERE?. Corruption and nepotism through and through. There should be a full fledged investigation and all persons suspected who are found guilty should face full force of law. Great job. Good reporting and investigation. Keep it up. We need many more. No reason PIA cannot be profitable if run well. No reason to have secy aviation or to letany secy into boards or running PIA. If you look into his board membership of PIA has been a lucrative deal, you will see one source of mismanagement. Excellent piece! Props to the writer. He has done justice to this important topic of PIA. Thank you Ahmed. This is an eye opener. Any government which can not run a small air line like PIA, Railways and National shipping corporation is a clear proof incompetence. How can such government can govern a country. There should be provision in constitution that such government get dissolved automatically and fresh elections be called. PIA, what went wrong and who is to blame is academic, what is important is what to do next. Corruption, corruption and more corruption from top to bottom is the answer. Privatization is the only way out now. The main cause is the corrupt political system.